Ten Mile Greens in Meridian, Idaho is a gated 55+ community with 24 single family homes built between 1998 and 2005. Homes range in size from approximately 1,300 to 2,200 square feet with two, three, or four bedrooms, two bathrooms, and attached two to three car garages. The homeowners’ association cares for all common area maintenance, exterior home maintenance, and lawn care. Residents can admire the tree-lined streets and manicured landscaping from the comfort of their covered front porches and fenced-in backyards. The community clubhouse includes several multi-purpose rooms as well as an outdoor pool and patio, making it an ideal place to meet with old and new friends. Active adults who live in this area can visit and explore the expansive national forests, wildlife refuges, rivers, and lakes in Western Idaho. 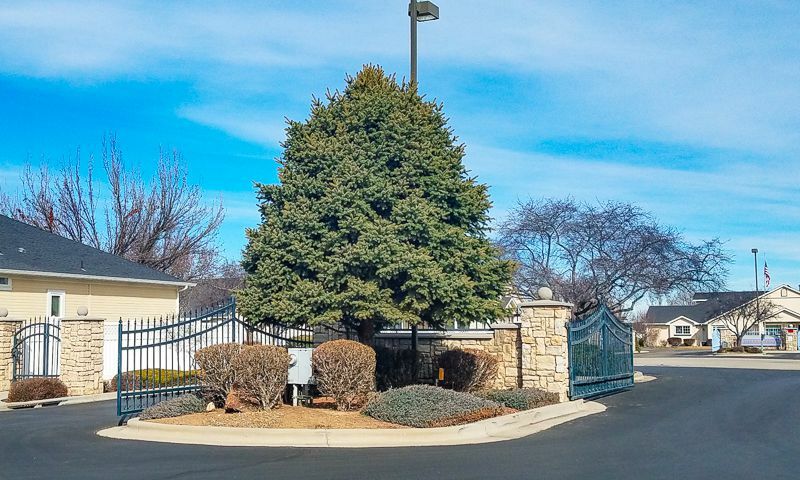 Homebuyers who want to live in a low-maintenance gated community will appreciate the amenities offered at Ten Mile Greens in Meridian, Idaho. Click here for more information on Ten Mile Greens. Check back soon for more information on the lifestyle in Ten Mile Greens. These homes range in size from approximately 1,300 to 2,200 square feet with two, three, or four bedrooms, two bathrooms, and attached two to three car garages. 55places.com is not affiliated with the developer(s) or homeowners association of Ten Mile Greens. The information you submit is distributed to a 55places.com Partner Agent, who is a licensed real estate agent. The information regarding Ten Mile Greens has not been verified or approved by the developer or homeowners association. Please verify all information prior to purchasing. 55places.com is not responsible for any errors regarding the information displayed on this website.